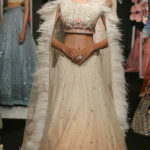 Day 04 – Lakme Fashion Week 2017 enriched with historical influences - Wedding Affair var admin_url = "https://weddingaffair.co.in/wp-admin/"
Lakme Fashion Week Winter/Festive seems to be getting better and grander with each passing day and we are all here for it, for the sheer beauty and brilliance of all that it has to offer. On the fourth day of Lakme Fashion Week (LFW) 2017, the runways came alive with the most exquisite bridal wear, the best of unconventional modern-day wear and the most gorgeous Bollywood divas strutting down the runway looking fierce, regal and graceful all at once. 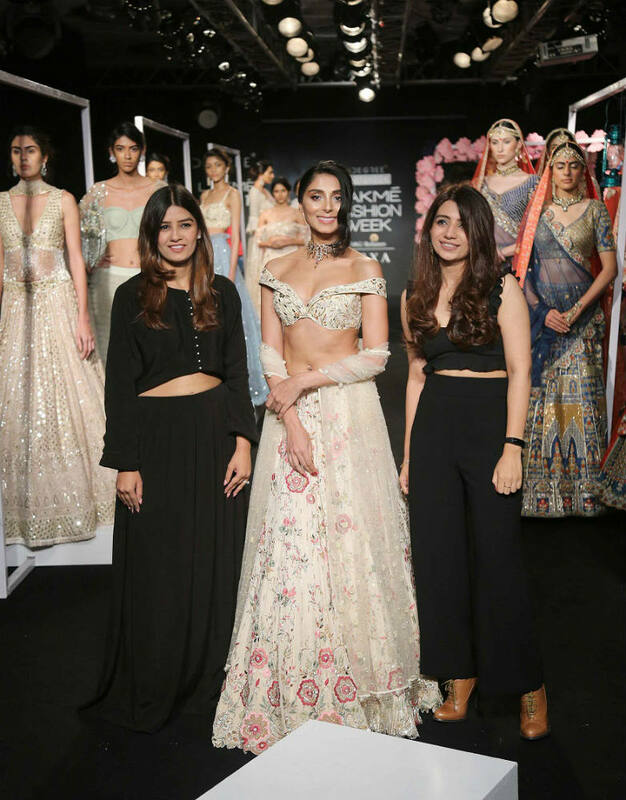 The beautiful Princess Niloufer of Hyderabad played muse to Anushree Reddy’s yet another magnificent bridal wear collection, “Niloufer”. “Niloufer” was every bit as magical and as majestic as one would expect it to be. 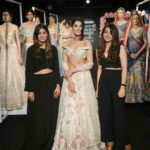 Reddy used fabrics such as pure hand-women ahimsa silk, organic mulmul, organza etc to create ensembles with linear cuts and classic silhouettes. Earthy colors along with vibrant splashes of pastels were the choices of colors used for the entire collection. 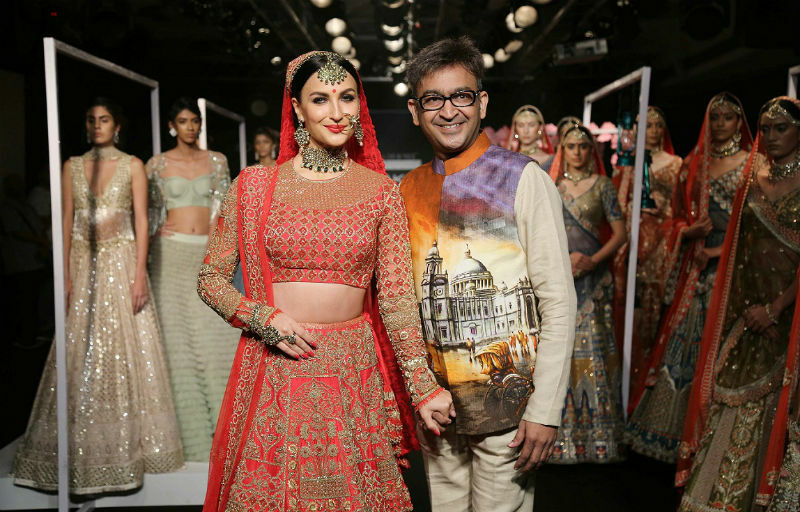 Brighter than sunshine, Bollywood actor Nargis Fakhri left everyone in awe as she glided down the runway in a fluorescent yellow zardosi lehenga teamed with a silver-colored silk blouse and a dupatta to complete the look. Sonam and Paras Modi’s collection “Sva” also received a warm applause amongst the fashion enthusiasts present for the show. “Sva” borrowed inspiration from the Chinar trees and leaves from the ever-picturesque Kashmir. Sonam and Paras Modi made use of silks extensively throughout their collection. 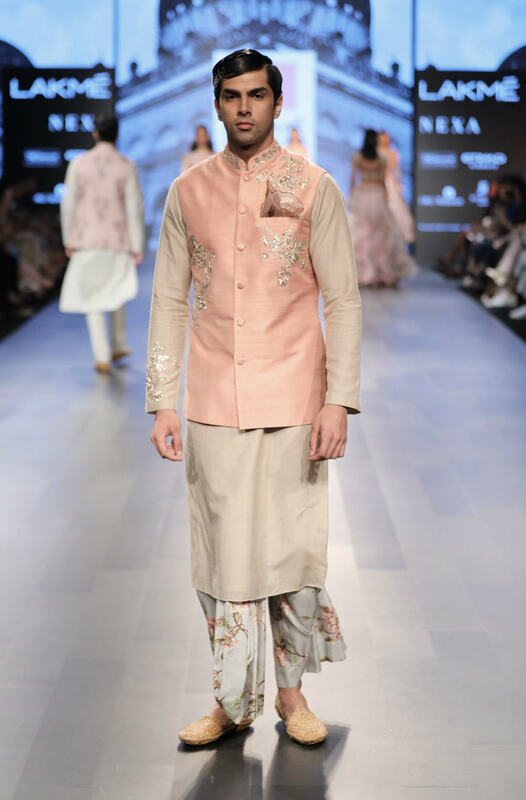 The collection presented ornate kurtis, jackets, innovative draped pants, embroidered sarees and lehengas and printed sherwanis in bright colors for men. 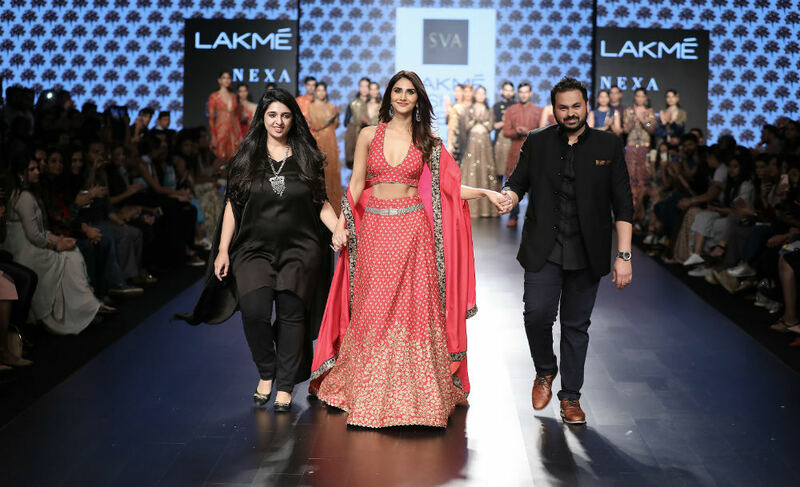 In a stunning red embroidered lehenga fit for a queen, actor Vani Kapoor sailed down the runway as a show stopper for the collection. Also on the fourth day, for his label “Antar Agni”, Ujjawal Dubey showcased his collection of both men’s and women’s wear “Disobedient”, which was well-received. 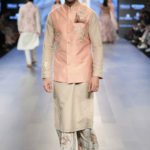 Loose-fitting structured suits and eastern classic silhouettes were the highlights of Dubey’s collection. The color palette was a sombre affair full of dark colors such as charcoal grey and black while some clothes in the shades of burgundy, mauve, faded teal etc brought in an interesting pop of color. On the other hand, one didn’t need to look too far to find out where Divyam Mehta got his inspiration from for his “The Black Monk” collection. Yes, you guessed it right, Mehta’s work was influenced by Buddhist Monks, their ‘Zen’ way of life and the robes they adorn. 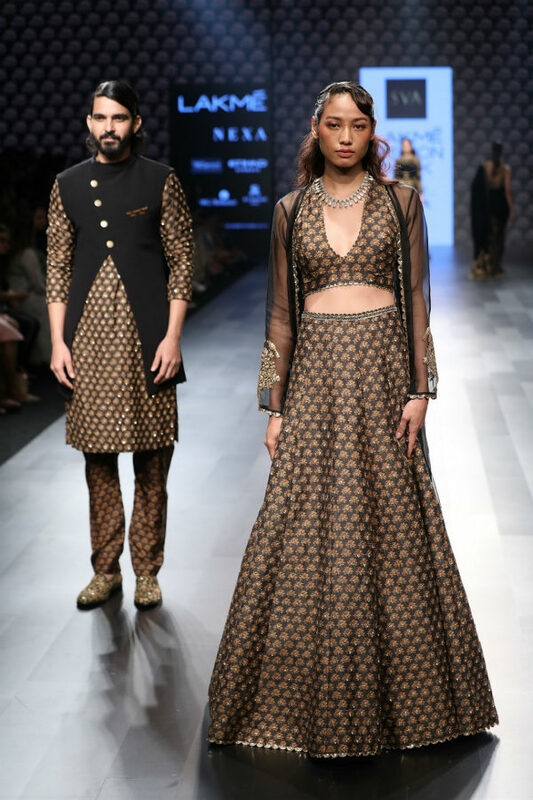 The color theme of the collection isn’t orange, maroon and red – the quintessential colors of a monk’s robe; rather Mehta used mostly black and ash grey for his collection. Mehta also drew inspiration from the French artist Jean Degottex that gave his robes and the drapery in his ensembles a structured silhouette. Likewise, Manoj Aggarwal presented his painstakingly detailed collection of bridal wear at 6Degree Studio. The extravagant sarees and lehengas with Rajput and Mughal elements on them also had hints of royal architecture in them. The ensembles looked as royal as royal could get as Aggarwal made the use of tulle and raw silk for his collection. 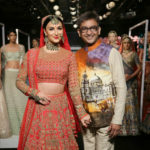 Eli Avram looked like a timeless piece of art from years bygone as she sailed down the runway in a heavily embroidered all-red lehenga and a dupatta. Designer Shreeya Somaiya is one such designer who was deeply influenced by Marie Antoinette’s fashion sense. Somaiya presented her collection of the same name and it’s safe to say that it was pretty “out-there”. With the use of fabrics such as denim, organza and chiffon, Marie Antoinette spirit manifested itself in all of Somaiya’s edgy ensembles. Designers Monica and Nidhi have been known in the fashion industry for their clean cuts, linear silhouettes and tailored to perfection feminine ensembles. On the fourth day of LFW 2017, Monica and Nidhi presented their collection that looked like it came straight out of a fairytale. With beautifully designed lehengas in tulle, satin, crepe, georgette and organza, Monica and Nidhi’s designs were a sight to behold. 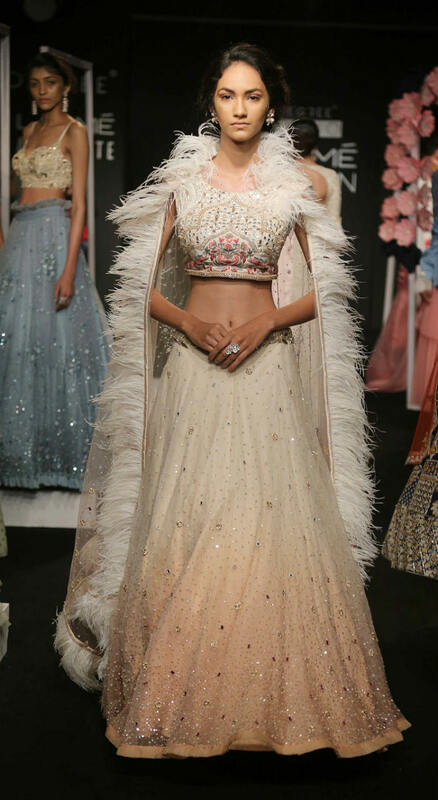 Pernia Qureshi as graceful as ever, sashayed down the ramp in an embellished ivory lehenga with a choli that had detailing. 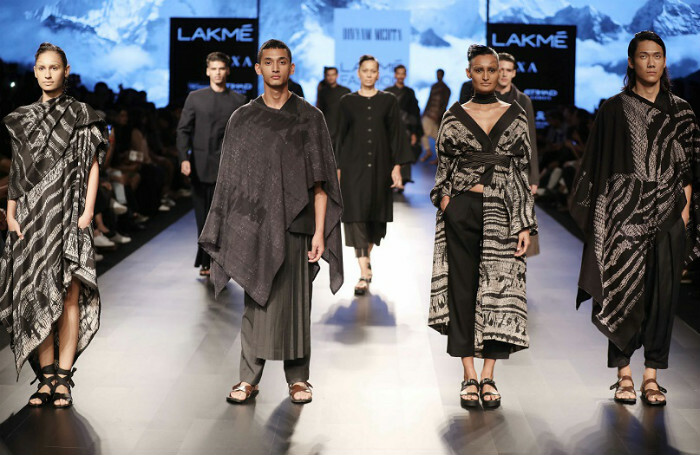 Next articleDay 05 – Lakme Fashion Week Winter/Festive 2017 Concludes With A Big Bang!